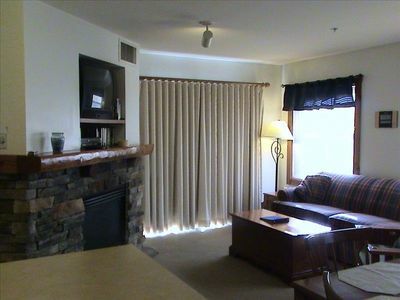 Winter bookings are open NOW ..
Our three bedroom, Leatherbark condominium is located on the top of Snowshoe Mountain! 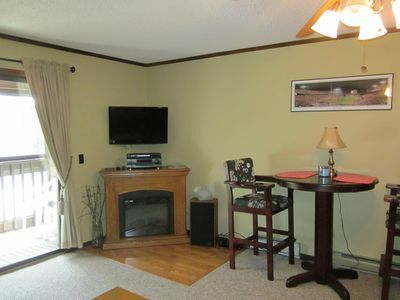 There is a large living area, plus a dining area and an open kitchen. 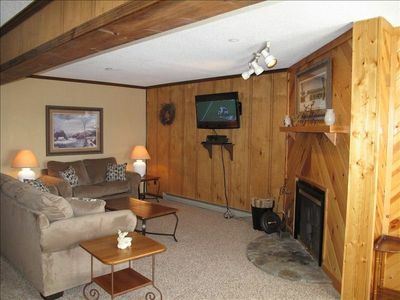 An added bonus for a family with kids is the upstairs loft with three beds and TV. 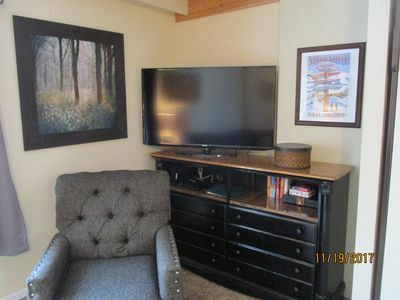 The unit has two TVs, two DVD players, one VCR. 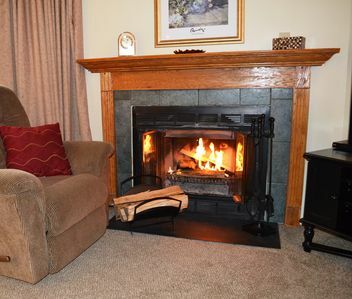 Enjoy the fireplace as soon as you arrive, kick back, and relax. 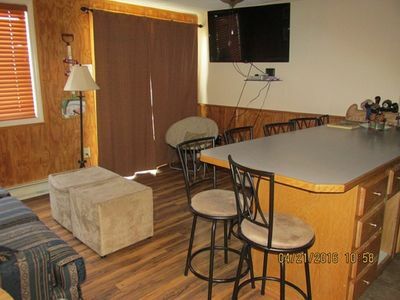 The kitchen is fully equipped and includes extras such as a crock-pot, electric hand mixer, and blender. We also provide spices, foils, wraps, and baggies for your use. 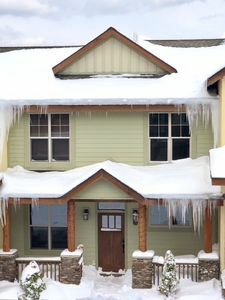 Keep an eye out for deer grazing in the backyard! 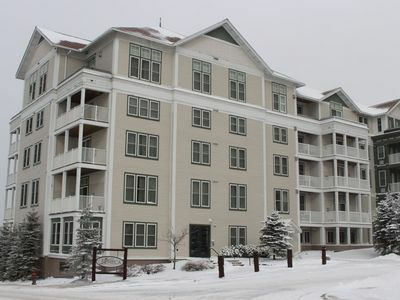 There are three bedrooms, plus a loft in the condominium. 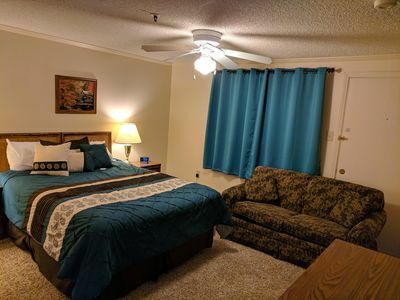 Downstairs, in addition to a full bath, you will find bedroom one with a king bed and a queen bed in the 2nd bedroom. 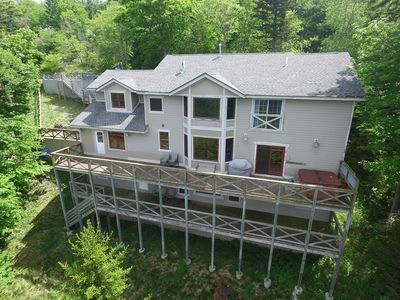 Upstairs, in addition to a full bath, you will find bedroom three with a tower bunk bed (double bed with a twin above) and a loft/den with three twin beds. WINTER AT SNOWSHOE: Fifty Nine (59) trails, thirteen (13) lifts, including Three high speed detachable quads, and 100% snow making capacity make Snowshoe the biggest and best resort in the Mid-Atlantic area. Night skiing is available and is included in your lift ticket price. Ski lessons are available for all ability levels. Equipment rentals are available both on and off the resort. 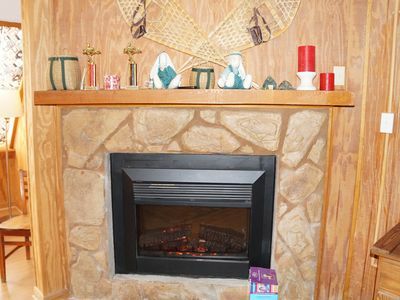 In addition to skiing and snowboarding, there are numerous other winter activities. 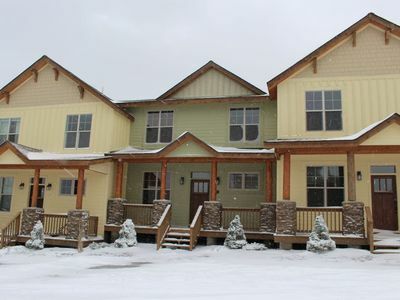 Choose between snow tubing at Ruckus Ridge, cross country skiing, snowshoeing, snow cat rides, snowmobile tours, or horse-drawn sleigh rides. 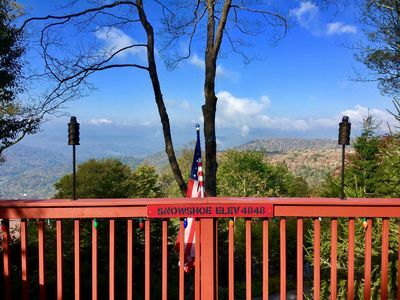 Try dining at the Sunrise Backcountry Hut, located two miles from the resort on the Cheat Mountain Ridge Trail. Snowmobile transportation is provided to and from your gourmet dinner. The Village offers a wide variety of entertainment, including restaurants, bars, shopping and a Kid’s Big Top. 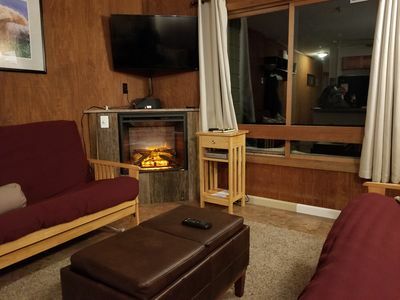 The Split Rocks Pool offers indoor/outdoor heated pools as well as a sauna and outdoor heated hot tubs. Don't forget to ask about discounted rental rates. 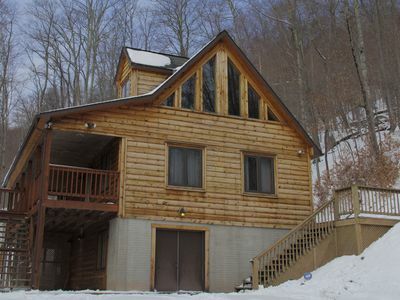 Ski Snowshoe--Woodland Gem--Private, Hot Tub, WiFi, Slatyfork WV Pet Friendly. Summit 306C . 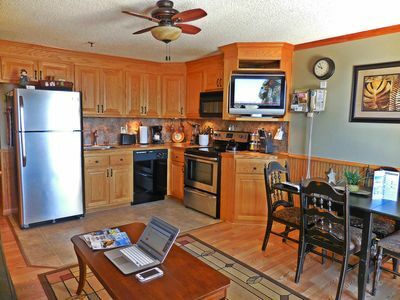 With Stunning Western Views!Earn Free Nights! 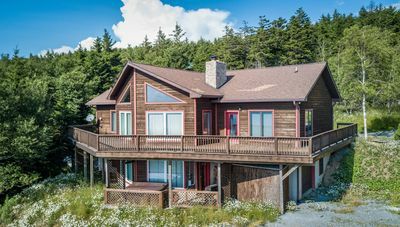 3BR Sleeps 8! 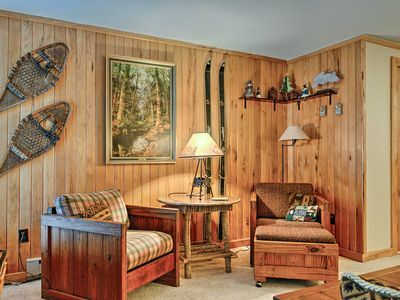 'Silvercreek Escape' 2BR Silvercreek, Ski-in/Ski-out!!!!! 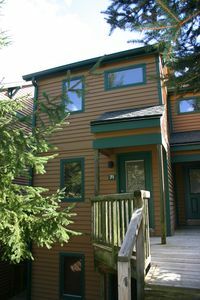 Silver Creek Studio Sleeps 3 Great Snowshoe, Brand New Furnishings & Bedding! NEW! 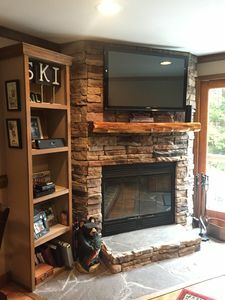 Slopeside Snowshoe Condo - Walk to Ski Lifts!